The Carmel Board of Education is asking residents of the greater Carmel-Kent- Patterson area to give school children an early Christmas present this year by approving a large scale capital project totaling some $85.6 million. Superintendent Andy Irvi… Please login below or purchase a subscription to the Putnam County Courier to access this content. A bizarre incident reported last March has resulted in the arrest of a Kent resident on felony charges of weapon’s possession. James Schrull, 49, was charged last week with the Class C felony after his DNA was found on an Improvised Explosive Devi… Please login below or purchase a subscription to the Putnam County Courier to access this content. 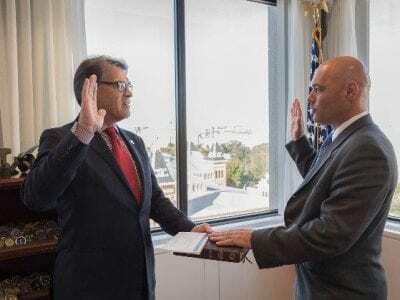 Former Deputy Putnam County Executive Bruce Walker takes his oath of office last week as Assistant Secretary to the U.S. Department of Energy from U.S. Secretary of Energy Rick Perry. Photo By Jessica Szymanski Former Deputy Putnam County Executiv… Please login below or purchase a subscription to the Putnam County Courier to access this content. 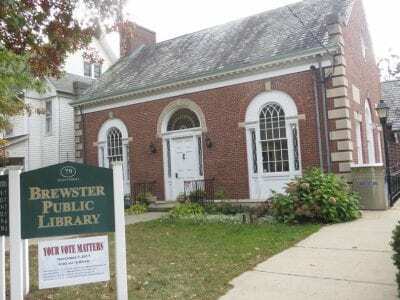 The 76-year-old Brewster Public Library will receive a major renovation if residents approve a referendum next Tuesday. 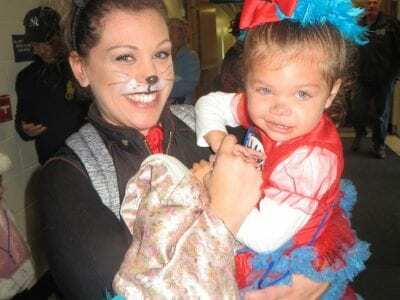 Photo by Eric Gross Property owners in the greater Brewster-Southeast area will be assessed two dollars per month or $24 a year… Please login below or purchase a subscription to the Putnam County Courier to access this content. To the Editor: When applying for a job, one of the most important qualifications is experience. It’s very difficult to convince a potential employer of your capabilities without proof of experience. Don Smith has 16 years of experience as your Sheri… Please login below or purchase a subscription to the Putnam County Courier to access this content. To the Editor: After seeing the presentation about the Brewster Library renovation, I would like to encourage my fellow residents of the Town of Southeast to vote in favor of it on election day. The renovation is extremely cost-effective, costing ea… Please login below or purchase a subscription to the Putnam County Courier to access this content. To the Editor: Choosing our next sheriff should be a pretty simple process. Putnam voters can look at the two candidates – the incumbent and Robert Langley – and see plenty of differences, big and small. The biggest, though, is this: only the incumb… Please login below or purchase a subscription to the Putnam County Courier to access this content.